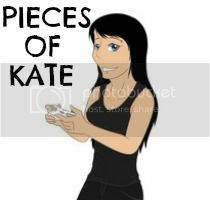 Pieces Of Kate: Bomb Cosmetics..A rival for Lush? I think the majority of women out there know about Lush and the amazing bath products they make. I've been partial to nipping into the Lush shop in my local town centre and buying one or two but my god they're expensive in there. Yeah you get alot for your money but there's no satisfaction in coming out of Lush with only a couple of bath bombs because they all smell so good! But that will never be a problem for me again because i've now found a rival in the form of Bomb Cosmetics. I came across this company after watching a haul video from Fleur De Force where she bought a box of six from the Clothes Show Live in Birmingham. I wasn't on a mission to buy anything the night i watched it but curiosity got the better of me and i wandered over to their site. Within half an hour i was £48.00 lighter after purchasing this little lot. Oh just look at them !! I will say they're not as vibrant in colour or as big as Lush bath bombs but i think they look so much prettier and exciting and my god do they smell good too! Seriously when the box arrived, i put it in the front room and Carl came in and said ' Oh my god i can smell them already ' and i hadn't even opened it! If i was to sit here and describe the smell of each one i'd be here all day so here's a list of their names and prices. Also because my order was really late, they sent me 3 little bath blasters as a way to say sorry but these are all wrapped up and i didn't want to open them as i'll give them as presents. Out of all of them, the pink rhubarb princess is my favourite. It's a really pretty colour and smells of rhubarb and custard sweets which is a firm favourite of mine and Carls. I got this free with my order because i spent over £40 and i'm really chuffed with it. 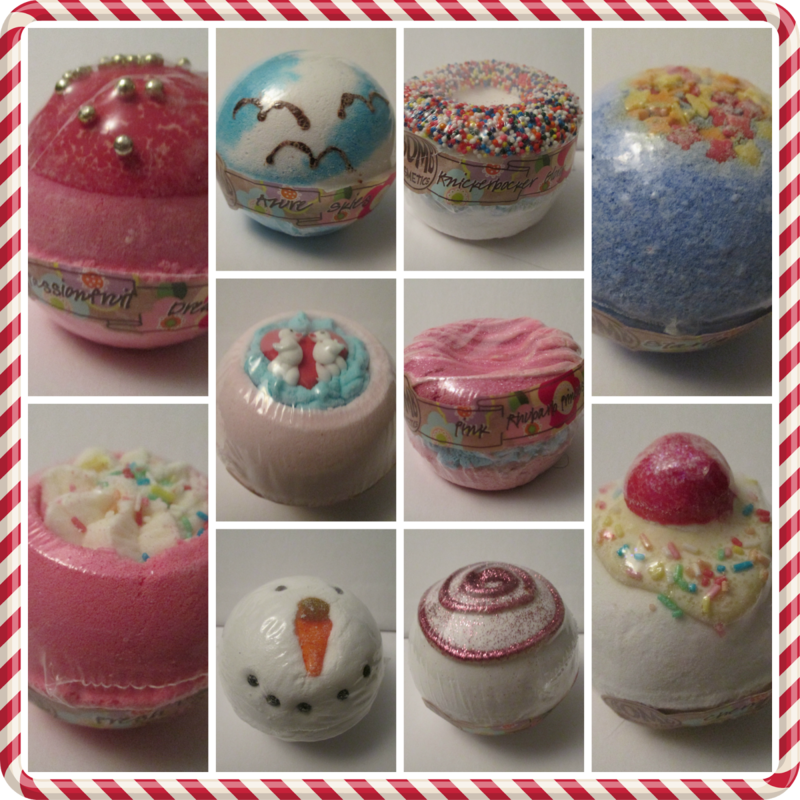 It contains 5 seperate pieces including three bath bombs and two soaps. It's wrapped so nicely that i don't want to open it! The package itself is quite big so it's really not bad for a freebie. Unfortunately i don't know how much it costs outright but i'm sure the website will let you know. I couldn't help myself. If i see somewhere that sells candles, i have to take a look and see what's on offer and once again, Bomb Cosmetics didn't dissapoint. First off we have the Candy Cane Candle £6.66. This smells amazing! It says on the tin ' Delicious candy canes scents with notes of sweetened caramel and vanilla with pure frankincense and cinnamon essential oils '....they're not kidding because it really does smell of all of the above. Also, i've never seen a candle that has little additional wax pieces in them, very cute and lovely little touch. Next up is Pixie Twinkle Mad Hatters Tea Candle £7.49. As a massive Alice in Wonderland fan, this candle is right up my street and i had to have it the minute i clocked it. It's inside a plain white tea cup with a seperate saucer and it's just beautiful. Buried inside the wax is a heart ( which unfortunately snapped in transit ) and a little heart..again it's something i've never seen in a candle and it's decorated with gold glitter. This to me smells of sherbert, it's sweet but not sickly and the name Pixie Twinkle is so apt for what it is. I also love the fact that when the candle is used up, i will have a decorated little teacup to put all my rings in which is something i have been after for quite some time but never found the right one. On reflection, i have to say that i am definitely a convert from Lush to Bomb Cosmetics. 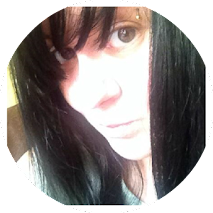 The prices are fantastic, the range is extensive and exciting and you get so many freebies! Plus when you spend over £25 you get free delivery, come on that's just a massive bonus! As i mentioned above, i was sent a couple of freebies for the delay in my delivery. I was not the only person who's order was delayed but their customer service was absolutely fantastic and they were very apologetic when i rang them and they told me that there was a problem with the online ordering system and to be fair, it's Christmas so everything is crazy manic at the minute. I love Bomb Cosmetics and i can't wait to order from them again. Their website is www.bombcosmetics.co.uk so if you love bath bombs i'd head over there smartish because they're amazing and soooo much better than Lush. All About D Train Movie Stream.The storyline collapses on itself in the finished half hour, particularly when it regards the Tinbo character.